It looks like Digital Design have built a nice looking version of EGGP Liverpool John Lennon Airport and surroundings for P3D v4. Check out the FS Elite home page. And AVSIM will be as one. Besides all that 😁 these guys do a really good job with their airports. So I will likely be switching out my UK2000 version for this new one. Oh wait, that's George Harrison. Harsh, Pete. It is wasn't for Gary, the UK airport scenery environment would be virtually empty. I enjoy flying to and from all of my UK2000 Xtreme airports, and I personally feel that Gary's runway and taxiway lights are second to none. You have me really perplexed, Christopher. 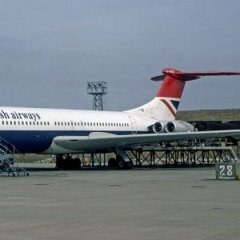 I thought you were a UK2000 Beta Tester, and fully agree with what you testify about Gary's solo work re: UK2000Scenery airports, so would hardly have expected you to endorse a DD product. I have Gary's Liverpool. Do I stick with it or go for the DD when it emerges, whenever? Do I stick with it or go for the DD when it emerges, whenever? I won't be buying Digital Design Liverpool, as I never fly there. But I can tell you I have a few of this developer's airports and they are on a very high level when it comes to looks, details and performance - one of the best around. So I can hardly imagine someone could be disappointed with Digital Design. UK2000 LIverpool Xtreme was released nearly eight years ago, Rick!! The fact that I am a UK2000 beta tester does not stop me from endorsing the products of another company if I consider them to be good quality, and this Digital Design version of Liverpool looks very nice indeed. Now that, gents, is what I call top-class User-to-User friendly advice. Jotting in down in my diary to get that DD product when it comes out. What else can I say to you two, specially you, Rafal, as I know like me you are an FSL A320 user, except a Thank You for your replies. if he had not done the sceneries someone else would of done it. He also did it for commercial gain as business. I'm sure he's a lovely guy. But I don't owe him anything. My personal opinion is I think they are of a low standard. The same as i think asdas own brand blackberry squash is of a lower standard than Ribena, just because adsa makes a blackberry squash doesnt mean I owe them anything. You could also urgue by Gary making his dull upattractive sceneries, it's stop the likes of other developers from making them until now. It's like me saying if it wasn't for me then no flights would have flightplans today at my airlines. which is not true they could easily get someone else to do them. That's business. You're making out the guy walks on water. He sells a product of low quality and I can't wait to remove LPL and LGW when they are both done. “Someone else would HAVE done it”. Not necessarily. Gary has produced decent scenery for years that blended well into 32-bit scenery. He has announced there will be no further offerings this year whilst he updates his software design tools to take advantage of 64-bit. He’ll then start designing new ones that should look pretty good. His prices were always reasonable and he remains one of the few developers who you can talk to on his forum. That means a lot. You're entitled to your opinion but I disagree with you. The EGCC offering from Aerosoft was not great. The developers - I.D.S. were a shambles of a company and their Nassau scenery is the only paid one I have removed as its VAS usage was dreadful. I’ll take Gary's any day. 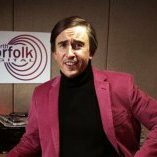 They may be of a 'low standard' as you say Pete, but you fail to mention that they're also extremely reasonably priced, with top notch performance. Swings and roundabouts and all that. One thing you can say for Gary when asked by users to develop other airports in Europe he said he would not go into another developers area, now we will have the choice of 2 or 3 or more version of the same airport while there are airports out there that no one has touched. There should be some agreement between all the major developers that they don’t tread on each other’s toes. It’s a waste of effort generally. Take Aerosoft EGLL and UK2000. Both very similar and how many will buy both and then painstakingly compare and uninstall the one they don’t like? I wish there were more airports in Central Europe. Some are years old and built for FSX. I want just one developer to wake up......and build a detailed version of EINN Shannon. They will probably all do it at the same time so you will have a choice. I think some of Gary's airports are better than others. I find EGKK has a really immersive atmosphere - more so than some much 'prettier', more up-to-date airports. I find EGSS very bland and basic... but then I find that in real life too!